Your Wedding will be one of the most-photographed days of your life... shouldn't you look your best? with all the confidence in the world as you walk down that aisle to meet your groom. over every detail and ensure there will be no surprises. We also offer bridal registries. Contact our consultant to customize your perfect Wish List. Looking for that perfect gift? Any of the listed packages can be purchased as a gift for a Bride. All the planning is complete, and now there's only one thing left to do-Wait for the day to finally come! So why not pamper yourself for all your hard work! 1-2 weeks prior to the big day, the Beautiful Bride-to-be will be pampered with a relaxing deep cleansing facial incorporated with a Powerpeel to rejuvenate the skin. The perfect ending to this treatment is a hydrating masque which will give the bride the glow she needs and deserves on the most important day of her life! This option is for the Bride plus (3) of her girls! This is perfect for the Bride who wants her bridal party and wedding photos to look perfect on the big day! Each girl will receive a "Power Peel" (gentle surface exfoliation from microdermabrasion followed by an Alpha Hydroxy Acid peel that penetrates deep into the skin causing rapid cell turnover) followed by a Hydrating Masque to leave the skin silky smooth and glowing. This package includes a glass of complimentary champagne (for those 21 years of age and older). This package entitles the Bride plus (4) of her girls to have our Med Spa all to themselves! Let the laughter and fun begin! 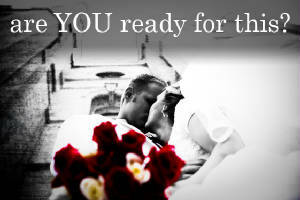 During this private event we will have a dvd slideshow playing of all the bride's favorite photos of family and friends. This package includes everything that the "Bridal Entourage" package offers PLUS crudite, cheese & crackers, a fruit platter and an antioxidant punch bowl. We will have our on staff photographer taking photos throughout the event and the best pic of the night will be framed and sent to the bride! Additional guests can be added to any of the above packages for an additional fee. A 50% deposit is required at the time of the consultation/purchase. Sunday private parties require a party of 4 or more in addition to a $200.00 Sunday opening fee. All remaining balances must be paid in full 24hrs prior to the party (cash or credit card). Seven-day notice is required on all cancellations and will forfeit 50% of the deposit. A Special Gift from Desire Perfection!